"Summer time" and "DST" redirect here. For other uses, see Summer time (disambiguation) and DST (disambiguation). Although not used by most of the world's countries, daylight saving time is common in the Western world. Daylight saving time (DST)—also summer time in several countries in British English, and European official terminology (see Terminology)—is the practice of advancing clocks so that evenings have more daylight and mornings have less. Typically clocks are adjusted forward one hour near the start of spring and are adjusted backward in autumn. The modern idea of daylight saving was first proposed in 1895 by George Vernon Hudson  and it was first implemented during the First World War. Many countries have used it at various times since then. DST was widely implemented following the 1970s energy crisis and has generally remained in use in North America and Europe since that time. The practice has been both praised and criticized. Adding daylight to evenings benefits retailing, sports, and other activities that exploit sunlight after working hours, but can cause problems for evening entertainment and other occupations tied to the sun. Although an early goal of DST was to reduce evening usage of incandescent lighting (formerly a primary use of electricity), modern heating and cooling usage patterns differ greatly, and research about how DST currently affects energy use is limited or contradictory. DST clock shifts present other challenges. They complicate timekeeping, and can disrupt meetings, travel, billing, recordkeeping, medical devices, heavy equipment, and sleep patterns. Software can often adjust computer clocks automatically, but this can be limited and error-prone, particularly when DST protocols are changed. As modern societies operate on the basis of "standard time" rather than solar time, most people's schedules are not governed by the movements of the earth in relation to the sun. For example, work, school and transport schedules will generally begin at exactly the same time at all times of the year regardless of the position of the sun. However, in non-equatorial regions the total number of hours of sunlight in a day will vary a great deal between winter and summer. As a result, if "standard time" is applied year round, a significant portion of the longer sunlight hours will fall in the early morning while there may still be a significant period of darkness in the evening. Because many people will tend to sleep in the early morning hours, these hours of sunlight are wasted for them, whereas if they are shifted to the evening via DST, they can then be used. As days shorten again in autumn/winter, sunrises get later and later, meaning that people could then be waking up and spending a significant portion of their mornings in the dark, so clocks are then returned to the "standard" time. In theory, people who need to or want to could simply wake up earlier to take advantage of the sunlight then, but this is impractical because of the inflexibility of clock-based schedules. The actual effects of DST can vary significantly by location depending on its latitude and position relative to the centre of its time zone. For example, DST does not have much practical effect in extremely northern or southern locations because the very long/short days mean that the artificial manipulation of time has little or no real impact on daily life since sunrise/sunset times are already dramatically out of synch with modern working hours. DST is also of no use for locations near the equator because they see only a very small variation in daylight through the year. Ancient water clock that lets hour lengths vary with season. Although not punctual in the modern sense, ancient civilizations adjusted daily schedules to the sun more flexibly than modern DST does, often dividing daylight into twelve hours regardless of day length, so that each daylight hour was longer during summer. For example, Roman water clocks had different scales for different months of the year: at Rome's latitude the third hour from sunrise, hora tertia, started by modern standards at 09:02 solar time and lasted 44 minutes at the winter solstice, but at the summer solstice it started at 06:58 and lasted 75 minutes. After ancient times, equal-length civil hours eventually supplanted unequal, so civil time no longer varies by season. Unequal hours are still used in a few traditional settings, such as some Mount Athos monasteries and all Jewish ceremonies. During his time as an American envoy to France, Benjamin Franklin, publisher of the old English proverb, "Early to bed, and early to rise, makes a man healthy, wealthy and wise", anonymously published a letter suggesting that Parisians economize on candles by rising earlier to use morning sunlight. This 1784 satire proposed taxing shutters, rationing candles, and waking the public by ringing church bells and firing cannons at sunrise. Franklin did not propose DST; like ancient Rome, 18th-century Europe did not keep precise schedules. However, this soon changed as rail and communication networks came to require a standardization of time unknown in Franklin's day. G.V. Hudson invented modern DST, proposing it first in 1895. Modern DST was first proposed by the New Zealand entomologist George Vernon Hudson, whose shift-work job gave him leisure time to collect insects, and led him to value after-hours daylight. In 1895 he presented a paper to the Wellington Philosophical Society proposing a two-hour daylight-saving shift, and after considerable interest was expressed in Christchurch, New Zealand, he followed up in an 1898 paper. Many publications incorrectly credit DST's proposal to the prominent English builder and outdoorsman William Willett, who independently conceived DST in 1905 during a pre-breakfast ride, when he observed with dismay how many Londoners slept through a large part of a summer's day. An avid golfer, he also disliked cutting short his round at dusk. His solution was to advance the clock during the summer months, a proposal he published two years later. The proposal was taken up by the Liberal Member of Parliament (MP) Robert Pearce, who introduced the first Daylight Saving Bill to the House of Commons on 12 February 1908. A select committee was set up to examine the issue, but Pearce's bill did not become law, and several other bills failed in the following years. Willett lobbied for the proposal in the UK until his death in 1915. Starting on 30 April 1916, Germany and its World War I allies were the first to use DST (German: Sommerzeit) as a way to conserve coal during wartime. Britain, most of its allies, and many European neutrals soon followed suit. Russia and a few other countries waited until the next year and the United States adopted it in 1918. Broadly speaking, Daylight Saving Time was abandoned in the years after the war (with some notable exceptions including Canada, the UK, France, and Ireland for example). However, it was brought back for periods of time in many different places in the coming decades, widely during the Second World War. It became widely adopted, particularly in North America and Europe starting in the 1970s as a result of the 1970s energy crisis. Since then, the world has seen many enactments, adjustments, and repeals. For specific details, an overview is available at Daylight saving time by country. alt=Yellowed magazine cover containing mostly print that is too small to read. Near the top is "JOURNAL DE PARIS. "|Franklin's 1784 letter about daylight. alt=Pamphlet cover showing a large British flag in red, white, and dark blue, with the large title "THE WASTE OF DAYLIGHT", an unreadable subtitle, and "WILLIAM WILLETT" near the bottom.|William Willett's pamphlet promoting DST, 1914. 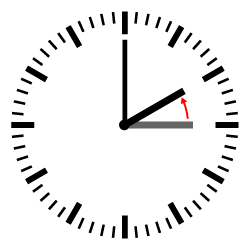 When DST starts in central Europe, clocks advance from 02:00 CET to 03:00 CEST. When DST ends in central Europe, clocks retreat from 03:00 CEST to 02:00 CET. Other regions switch at different times. In the case of the United States where a one-hour shift occurs at 02:00 local time, in spring the clock jumps forward from the last moment of 01:59 standard time to 03:00 DST and that day has 23 hours, whereas in autumn the clock jumps backward from the last moment of 01:59 DST to 01:00 standard time, repeating that hour, and that day has 25 hours. A digital display of local time does not read 02:00 exactly at the shift to summertime, but instead jumps from 01:59:59.9 forward to 03:00:00.0. In the European Union, on the other hand, since the shift occurs at 01:00 UTC, the autumn shift happens an hour later than the spring shift, local time. Clock shifts are usually scheduled near a weekend midnight to lessen disruption to weekday schedules. A one-hour shift is customary, but Australia's Lord Howe Island uses a half-hour shift. Twenty-minute and two-hour shifts have been used in the past. Coordination strategies differ when adjacent time zones shift clocks. The European Union shifts all at once, at 01:00 UTC or 02:00 CET or 3:00 EET; for example, Eastern European Time is always one hour ahead of Central European Time. Most of North America shifts at 02:00 local time, so its zones do not shift at the same time; for example, Mountain Time can be temporarily either zero or two hours ahead of Pacific Time. In the past, Australian districts went even further and did not always agree on start and end dates; for example, in 2008 most DST-observing areas shifted clocks forward on October 5 but Western Australia shifted on October 26. In some cases only part of a country shifts; for example, in the US, Hawaii and most of Arizona do not observe DST. Start and end dates vary with location and year. Since 1996 European Summer Time has been observed from the last Sunday in March to the last Sunday in October; previously the rules were not uniform across the European Union. Starting in 2007, most of the United States and Canada observe DST from the second Sunday in March to the first Sunday in November, almost two-thirds of the year. The 2007 US change was part of the Energy Policy Act of 2005; previously, from 1987 through 2006, the start and end dates were the first Sunday in April and the last Sunday in October, and Congress retains the right to go back to the previous dates now that an energy-consumption study has been done. In early 2008 central Brazil was one, two, or three hours ahead of eastern US, depending on the date. Beginning and ending dates are the reverse in the southern hemisphere. For example, mainland Chile observes DST from the second Saturday in October to the second Saturday in March, with transitions at 24:00 local time. The time difference between the United Kingdom and mainland Chile may therefore be five hours during the Northern summer, three hours during the Northern winter and four hours a few weeks per year because of mismatch of changing dates. Xinjiang Uyghur Autonomous Region in western China, Iceland, Russia and other areas skew time zones westward, in effect observing DST year-round without complications from clock shifts. For example, Saskatoon, Saskatchewan, is at 106°39′ W longitude, slightly west of center of the idealized Mountain Time Zone (105° W), but the time in Saskatchewan is Central Standard Time (90° W) year-round, so Saskatoon is always about 67 minutes ahead of mean solar time. Conversely, northeast India and a few other areas skew time zones eastward, in effect observing negative DST. The United Kingdom and Ireland experimented with year-round DST from 1968 to 1971 but abandoned it because of its unpopularity, particularly in northern regions. Western France, Spain, and other areas skew time zones and shift clocks, in effect observing DST in winter with an extra hour in summer. For example, Nome, Alaska, is at 165°24′ W longitude, which is just west of center of the idealized Samoa Time Zone (165° W), but Nome observes Alaska Time (135° W) with DST, so it is slightly more than two hours ahead of the sun in winter and three in summer. Double daylight saving time has been used on occasion; for example, it was used in some European countries during World War II when it was referred to as "Double Summer Time". See British Double Summer Time and Central European Midsummer Time for details. DST is generally not observed near the equator, where sunrise times do not vary enough to justify it. Some countries observe it only in some regions; for example, southern Brazil observes it while equatorial Brazil does not. Only a minority of the world's population uses DST because Asia and Africa generally do not observe it. Daylight saving has caused controversy since it began. Winston Churchill argued that it enlarges "the opportunities for the pursuit of health and happiness among the millions of people who live in this country" and pundits have dubbed it "Daylight Slaving Time". Historically, retailing, sports and tourism interests have favoured daylight saving, while agricultural and evening entertainment interests have opposed it, and its initial adoption had been prompted by energy crisis and war. The fate of Willett's 1907 proposal illustrates several political issues involved. The proposal attracted many supporters, including Balfour, Churchill, Lloyd George, MacDonald, Edward VII (who used half-hour DST at Sandringham), the managing director of Harrods, and the manager of the National Bank. However, the opposition was stronger: it included Prime Minister Asquith, Christie (the Astronomer Royal), George Darwin, Napier Shaw (director of the Meteorological Office), many agricultural organizations, and theater owners. After many hearings the proposal was narrowly defeated in a Parliament committee vote in 1909. Willett's allies introduced similar bills every year from 1911 through 1914, to no avail. The US was even more skeptical: Andrew Peters introduced a DST bill to the US House of Representatives in May 1909, but it soon died in committee. Retailers generally favor DST. United Cigar Stores hailed a 1918 DST bill. After Germany led the way with starting DST (German: Sommerzeit) during World War I on 30 April 1916 together with its allies to alleviate hardships from wartime coal shortages and air raid blackouts, the political equation changed in other countries; the United Kingdom used DST first on 21 May 1916. US retailing and manufacturing interests led by Pittsburgh industrialist Robert Garland soon began lobbying for DST, but were opposed by railroads. The US's 1917 entry to the war overcame objections, and DST was established in 1918. The war's end swung the pendulum back. Farmers continued to dislike DST, and many countries repealed it after the war. Britain was an exception: it retained DST nationwide but over the years adjusted transition dates for several reasons, including special rules during the 1920s and 1930s to avoid clock shifts on Easter mornings. The US was more typical: Congress repealed DST after 1919. President Woodrow Wilson, like Willett an avid golfer, vetoed the repeal twice but his second veto was overridden. Only a few US cities retained DST locally thereafter, including New York so that its financial exchanges could maintain an hour of arbitrage trading with London, and Chicago and Cleveland to keep pace with New York. Wilson's successor Warren G. Harding opposed DST as a "deception". Reasoning that people should instead get up and go to work earlier in the summer, he ordered District of Columbia federal employees to start work at 08:00 rather than 09:00 during summer 1922. Some businesses followed suit though many others did not; the experiment was not repeated. Since Germany's adoption in 1916 the world has seen many enactments, adjustments, and repeals of DST, with similar politics involved. The history of time in the United States includes DST during both world wars, but no standardization of peacetime DST until 1966. In May 1965, for two weeks, St. Paul and Minneapolis were on different times, when the capital city decided to join most of the nation by starting Daylight Saving Time while Minneapolis opted to follow the later date set by state law. In the mid-1980s, Clorox (parent of Kingsford Charcoal) and 7-Eleven provided the primary funding for the Daylight Saving Time Coalition behind the 1987 extension to US DST, and both Idaho senators voted for it based on the premise that during DST fast-food restaurants sell more French fries, which are made from Idaho potatoes. In 1992 after a three-year trial of daylight saving in Queensland, Australia, a referendum on daylight saving was held and defeated with a 54.5% 'no' vote – with regional and rural areas strongly opposed, while those in the metropolitan south-east were in favour. In 2005, the Sporting Goods Manufacturers Association and the National Association of Convenience Stores successfully lobbied for the 2007 extension to US DST. In December 2008, the Daylight Saving for South East Queensland(DS4SEQ) political party was officially registered in Queensland, advocating the implementation of a dual-time zone arrangement for Daylight Saving in South East Queensland while the rest of the state maintains standard time. DS4SEQ contested the March 2009 Queensland State election with 32 candidates and received one percent of the state-wide primary vote, equating to around 2.5% across the 32 electorates contested. After a three-year trial, more than 55% of Western Australians voted against DST in 2009, with rural areas strongly opposed. On 14 April 2010, after being approached by the DS4SEQ political party, Queensland Independent member Peter Wellington, introduced the Daylight Saving for South East Queensland Referendum Bill 2010 into Queensland Parliament, calling for a referendum to be held at the next State election on the introduction of daylight saving into South East Queensland under a dual-time zone arrangement. The Bill was defeated in Queensland Parliament on 15 June 2011. In the UK the Royal Society for the Prevention of Accidents supports a proposal to observe SDST's additional hour year-round, but is opposed in some industries, such as postal workers and farmers, and particularly by those living in the northern regions of the UK. In some Muslim countries DST is temporarily abandoned during Ramadan (the month when no food should be eaten until sunset), since the DST would delay the evening dinner. Ramadan takes place in July and August in 2012. This concerns at least Morocco and Palestine, although Iran keeps DST during Ramadan. Most Muslim countries do not use DST, partially for this reason. The 2011 declaration by Russia that it would not turn its clocks back and stay in DST all year long was subsequently followed by a similar declaration from Belarus. William Willett independently proposed DST in 1907 and advocated it tirelessly. Proponents of DST generally argue that it saves energy, promotes outdoor leisure activity in the evening, and is therefore good for physical and psychological health, reduces traffic accidents, reduces crime, or is good for business. Groups that tend to support DST are urban workers or professionals, retail businesses, outdoor sports enthusiasts and businesses, tourism operators, and others who benefit from increased light during the evening. Opponents argue that actual energy savings are inconclusive, that DST can disrupt morning activities, and that the act of changing clocks twice a year is economically and socially disruptive and cancels out any benefit. Groups that have tended to oppose DST are farmers , transportation companies, and the indoor and outdoor entertainment business. Common agreement about the day's layout or schedule confers so many advantages that a standard DST schedule has generally been chosen over ad hoc efforts to get up earlier. Although, the advantages of coordination are so great that many people ignore whether DST is in effect by altering their nominal work schedules to coordinate with television broadcasts or daylight. DST is commonly not observed during most of winter, because its mornings are darker: workers may have no sunlit leisure time, and children may need to leave for school in the dark. Since DST is applied to many varying communities its effects may be very different depending on their culture, light levels, geography, and climate; that is why it is hard to make generalized conclusions about the absolute effects of the practice. Some areas may adopt DST simply as a matter of coordination with others rather than for any direct benefits. DST's potential to save energy comes primarily from its effects on residential lighting, which consumes about 3.5% of electricity in the US and Canada. Delaying the nominal time of sunset and sunrise reduces the use of artificial light in the evening and increases it in the morning. As Franklin's 1784 satire pointed out, lighting costs are reduced if the evening reduction outweighs the morning increase, as in high-latitude summer when most people wake up well after sunrise. An early goal of DST was to reduce evening usage of incandescent lighting, formerly a primary use of electricity. Although energy conservation remains an important goal, energy usage patterns have greatly changed since then, and recent research is limited and reports contradictory results. Electricity use is greatly affected by geography, climate, and economics, making it hard to generalize from single studies. The US Dept. of Transportation (DOT) concluded in 1975 that DST might reduce the country's electricity usage by 1% during March and April, but the National Bureau of Standards (NBS) reviewed the DOT study in 1976 and found no significant savings. In 2000 when parts of Australia began DST in late winter, overall electricity consumption did not decrease, but the morning peak load and prices increased. In Western Australia during summer 2006–07, DST increased electricity consumption during hotter days and decreased it during cooler days, with consumption rising 0.6% overall. Although a 2007 study estimated that introducing DST to Japan would reduce household lighting energy consumption, a 2007 simulation estimated that DST would increase overall energy use in Osaka residences by 0.13%, with a 0.02% decrease due to less lighting more than outweighed by a 0.15% increase due to extra cooling; neither study examined non-residential energy use. This is probably because DST's effect on lighting energy use is mainly noticeable in residences. A 2007 study found that the earlier start to DST that year had little or no effect on electricity consumption in California. A 2007 study estimated that winter daylight saving would prevent a 2% increase in average daily electricity consumption in Great Britain. This paper was revised in October 2009 . A 2008 study examined billing data in Indiana before and after it adopted DST in 2006, and concluded that DST increased overall residential electricity consumption by 1% to 4%, due mostly to extra afternoon cooling and extra morning heating; the main increases came in the fall. The overall annual cost of DST to Indiana households was estimated to be $9 million, with an additional $1.7–5.5 million for social costs due to increased pollution. The US Dept. of Energy (DOE) concluded in a 2008 report that the 2007 US extension of DST saved 0.5% of electricity usage during the extended period. This report analyzed only the extension, not the full eight months of daylight saving, and did not examine the use of heating fuels. Several studies have suggested that DST increases motor fuel consumption. The 2008 DOE report found no significant increase in motor gasoline consumption due to the 2007 US extension of DST. Retailers, sporting goods makers, and other businesses benefit from extra afternoon sunlight, as it induces customers to shop and to participate in outdoor afternoon sports. In 1984, Fortune magazine estimated that a seven-week extension of DST would yield an additional $30 million for 7-Eleven stores, and the National Golf Foundation estimated the extension would increase golf industry revenues $200 million to $300 million. A 1999 study estimated that DST increases the revenue of the European Union's leisure sector by about 3%. Conversely, DST can adversely affect farmers and others whose hours are set by the sun and they have traditionally opposed the practice, although farmers are now often neutral or in favor of DST. One example of why farmers used to oppose DST: grain harvesting is best done after dew evaporates, so when field hands arrive and leave earlier in summer their labor is less valuable. Dairy farmers are another group who complain of the change as their cows are sensitive to the timing of milking, so when their deliveries need to be made earlier their systems are disrupted. However, their earlier opposition to the practice has been moderated by technological and social changes. Today some farmers groups are even in favour of DST. DST also hurts prime-time broadcast ratings, drive-ins and other theaters. Changing clocks and DST rules has a direct economic cost, entailing extra work to support remote meetings, computer applications and the like. For example, a 2007 North American rule change cost an estimated $500 million to $1 billion. Although it has been argued that clock shifts correlate with decreased economic efficiency, and that in 2000 the daylight-saving effect implied an estimated one-day loss of $31 billion on US stock exchanges, the estimated numbers depend on the methodology and the results have been disputed. In 1975 the US DOT conservatively identified a 0.7% reduction in traffic fatalities during DST, and estimated the real reduction to be 1.5% to 2%, but the 1976 NBS review of the DOT study found no differences in traffic fatalities. In 1995 the Insurance Institute for Highway Safety estimated a reduction of 1.2%, including a 5% reduction in crashes fatal to pedestrians. Others have found similar reductions. Single/Double Summer Time (SDST), a variant where clocks are one hour ahead of the sun in winter and two in summer, has been projected to reduce traffic fatalities by 3% to 4% in the UK, compared to ordinary DST. However, accidents do increase by as much as 11% during the two weeks that follow the end of British Summer Time.It is not clear whether sleep disruption contributes to fatal accidents immediately after the spring clock shifts. A correlation between clock shifts and traffic accidents has been observed in North America and the UK but not in Finland or Sweden. If this effect exists, it is far smaller than the overall reduction in traffic fatalities. A 2009 US study found that on Mondays after the switch to DST, workers sleep an average of 40 minutes less, and are injured at work more often and more severely. In the 1970s the US Law Enforcement Assistance Administration (LEAA) found a reduction of 10% to 13% in Washington, D.C.'s violent crime rate during DST. However, the LEAA did not filter out other factors, and it examined only two cities and found crime reductions only in one and only in some crime categories; the DOT decided it was "impossible to conclude with any confidence that comparable benefits would be found nationwide". Outdoor lighting has a marginal and sometimes even contradictory influence on crime and fear of crime. In several countries, fire safety officials encourage citizens to use the two annual clock shifts as reminders to replace batteries in smoke and carbon monoxide detectors, particularly in autumn, just before the heating and candle season causes an increase in home fires. Similar twice-yearly tasks include reviewing and practicing fire escape and family disaster plans, inspecting vehicle lights, checking storage areas for hazardous materials, reprogramming thermostats, and seasonal vaccinations. Locations without DST can instead use the first days of spring and autumn as reminders. Justification for Daylight Saving Time to the effect that it will help people rise with the sun. DST has mixed effects on health. In societies with fixed work schedules it provides more afternoon sunlight for outdoor exercise. It alters sunlight exposure; whether this is beneficial depends on one's location and daily schedule, as sunlight triggers vitamin D synthesis in the skin, but overexposure can lead to skin cancer. Sunlight strongly influences seasonal affective disorder, both the summer version and the winter version; the use of DST, with unnatural late sunsets, for two-thirds of the year has a greater impact on summer SAD sufferers than normal standard time does on winter SAD sufferers in winter . DST may help in depression by causing individuals to rise earlier, but some argue the reverse. The Retinitis Pigmentosa Foundation Fighting Blindness, chaired by blind sports magnate Gordon Gund, successfully lobbied in 1985 and 2005 for US DST extensions, but DST can hurt night blindness sufferers. Clock shifts disrupt sleep and reduce its efficiency. Effects on seasonal adaptation of the circadian rhythm can be severe and last for weeks. A 2008 study found that although male suicide rates rise in the weeks after the spring transition, the relationship weakened greatly after adjusting for season. A 2008 Swedish study found that heart attacks were significantly more common the first three weekdays after the spring transition, and significantly less common the first weekday after the autumn transition. The government of Kazakhstan cited health complications due to clock shifts as a reason for abolishing DST in 2005. In March 2011, Dmitri Medvedev, president of Russia, claimed that "stress of changing clocks" were the motivation for Russia to stay in DST all year long. Officials at the time talked about an annual increase in suicides. DST's clock shifts have the obvious disadvantage of complexity. People must remember to change their clocks; this can be time-consuming, particularly for mechanical clocks that cannot be moved backward safely. People who work across time zone boundaries need to keep track of multiple DST rules, as not all locations observe DST or observe it the same way. The length of the calendar day becomes variable; it is no longer always 24 hours. Disruption to meetings, travel, broadcasts, billing systems, and records management is common, and can be expensive. During an autumn transition from 02:00 to 01:00, a clock reads times from 01:00:00 through 01:59:59 twice, possibly leading to confusion. The William Willett Memorial Sundial is always on DST. Damage to a German steel facility occurred during a DST transition in 1993, when a computer timing system linked to a radio time synchronization signal allowed molten steel to cool for one hour less than the required duration, resulting in spattering of molten steel when it was poured. Medical devices may generate adverse events that could harm patients, without being obvious to clinicians responsible for care. These problems are compounded when the DST rules themselves change; software developers must test and perhaps modify many programs, and users must install updates and restart applications. Consumers must update devices such as programmable thermostats with the correct DST rules, or manually adjust the devices' clocks. Some clock-shift problems could be avoided by adjusting clocks continuously or at least more gradually—for example, Willett at first suggested weekly 20-minute transitions—but this would add complexity and has never been implemented. DST inherits and can magnify the disadvantages of standard time. For example, when reading a sundial, one must compensate for it along with time zone and natural discrepancies. Also, sun-exposure guidelines such as avoiding the sun within two hours of noon become less accurate when DST is in effect. Although daylight saving time is considered to be correct, daylight savings time (with an "s") is commonly used. The form daylight saving time uses the present participle saving as an adjective, as in labour saving device; the first two words are sometimes hyphenated, as in daylight-saving time. The common variants daylight savings time and daylight savings use savings by analogy to savings account. Daylight time is also common. Willett's 1907 proposal used the term daylight saving, but by 1911 the term summer time replaced daylight saving time in draft legislation in Britain, and continental Europe uses similar phrases, such as Sommerzeit in Germany, zomertijd in Dutch, horario de verano or hora de verano in Spain and l'heure d'été in France, whereas in Italy the term is ora legale, that is, legal time (legally enforced time) as opposed to "ora solare", solar time, in Winter. The American English mnemonic "spring forward, fall back" (also "spring ahead ...", "spring up ...", and "... fall behind") helps people remember which direction to shift clocks. A 2001 US public service advertisement reminded people to adjust clocks. Changes to DST rules cause problems in existing computer installations. For example, the 2007 change to DST rules in North America required many computer systems to be upgraded, with the greatest impact on email and calendaring programs; the upgrades consumed a significant effort by corporate information technologists. Some applications standardize on UTC to avoid problems with clock shifts and time zone differences. Likewise, most modern operating systems internally handle and store all times as UTC and only convert to local time for display. However, even if UTC is used internally, the systems still require information on time zones to correctly calculate local time where it is needed. Many systems in use today base their date/time calculations from data derived from the IANA time zone database. The IANA time zone database maps a name to the named location's historical and predicted clock shifts. This database is used by many computer software systems, including most Unix-like operating systems, Java, and the Oracle RDBMS; HP's "tztab" database is similar but incompatible. When temporal authorities change DST rules, zoneinfo updates are installed as part of ordinary system maintenance. In Unix-like systems the TZ environment variable specifies the location name, as in TZ=':America/New_York'. In many of those systems there is also a system-wide setting that is applied if the TZ environment variable isn't set: this setting is controlled by the contents of the /etc/localtime file, which is usually a symbolic link or hard link to one of the zoneinfo files. Internal time is stored in timezone-independent epoch time; the TZ is used by each of potentially many simultaneous users and processes to independently localize time display. Older or stripped-down systems may support only the TZ values required by POSIX, which specify at most one start and end rule explicitly in the value. For example, TZ='EST5EDT,M3.2.0/02:00,M11.1.0/02:00' specifies time for the eastern United States starting in 2007. TZ must be changed whenever DST rules change, and the new TZ value applies to all years, mishandling some older timestamps. As with zoneinfo, a user of Microsoft Windows configures DST by specifying the name of a location, and the operating system then consults a table of rule sets that must be updated when DST rules change. Procedures for specifying the name and updating the table vary with release. Updates are not issued for older versions of Microsoft Windows. Windows Vista supports at most two start and end rules per time zone setting. In a Canadian location observing DST, a single Vista setting supports both 1987–2006 and post-2006 time stamps, but mishandles some older time stamps. Older Microsoft Windows systems usually store only a single start and end rule for each zone, so that the same Canadian setting reliably supports only post-2006 time stamps. These limitations have caused problems. For example, before 2005, DST in Israel varied each year and was skipped some years. Windows 95 used rules correct for 1995 only, causing problems in later years. In Windows 98 Microsoft marked Israel as not having DST, forcing Israeli users to shift their computer clocks manually twice a year. The 2005 Israeli Daylight Saving Law established predictable rules using the Jewish calendar but Windows zone files cannot represent the rules' dates in a year-independent way. Partial workarounds, which mishandle older time stamps, include manually switching zone files every year and a Microsoft tool that switches zones automatically. Microsoft Windows keeps the system real-time clock in local time. This causes several problems, including compatibility when multi booting with operating systems that set the clock to UTC, and double-adjusting the clock when multi booting different Windows versions, such as with a rescue boot disk. This approach is a problem even in Windows-only systems: there is no support for per-user timezone settings, only a single system-wide setting. In 2008 Microsoft hinted that future versions of Windows will partially support a Windows registry entry RealTimeIsUniversal that had been introduced many years earlier, when Windows NT supported RISC machines with UTC clocks, but had not been maintained since. An interesting effect can be observed with file time properties. The NTFS file system used by recent versions of Windows stores the file with a UTC time stamp, but displays it corrected to local—or seasonal—time. However, the FAT filesystem commonly used on removable devices stores only the local time. Consequently, when a file is copied from the hard disk onto separate media, its time will be set to the current local time. If the time adjustment is changed, perhaps automatically (daylight saving) or if the user selects a different time zone, then when the timestamps of the original file and the copy are compared there will be a difference. This may be verified (without having to wait for the next equinox) by copying a file, removing the media, adjusting the time zone options, reconnecting the media, and viewing the details of the file and its copy. The same effect can be observed when compressing and uncompressing files with some file archivers. It is the NTFS file that changes seen time. One can store a file listing and check it after the DST change. This effect should be kept in mind when trying to determine if a file is a duplicate of another although there are other methods of comparing files for equality like using checksum algorithms. A move to "permanent daylight saving time" (staying on summer hours all year with no time shifts) is sometimes advocated, and has in fact been implemented in some jurisdictions such as Iceland, Russia, and Belarus. The United Kingdom stayed on daylight saving time from 1968 to 1971. Advocates cite the same advantages as normal DST without the problems associated with the twice yearly time shifts. However, many remain unconvinced of the benefits, citing the same problems and the relatively late sunrises, particularly in winter, that year-round DST entails. "Permanent daylight saving time" or permanent summer time are perhaps misnomers, as the practice essentially becomes the "standard time" for the area. However, it can be considered to be a deviation from the internationally agreed timezone of the Coordinated Universal Time system. Many jurisdictions such as Argentina, Central China, Georgia, Kazakhstan, Central Mongolia, Saskatchewan, Senegal, Sudan, Turkmenistan, and Tokelau can be considered to use a form of de facto permanent daylight saving time because they use time zones located to the east of the time zones they are geographically located in. Thus their local times are later than the time they would theoretically occur under a "pure" system, such as the nautical time system, giving the same effect as year-round DST. ^ German: Sommerzeit, literally summer time, see Sommerzeit in WordReference.com. ^ Japanese: 夏時間, literally summer time. See 夏時間 and 夏。時。間。 in Google Translate. ^ Russian: Летнее время, literally summer time. See Летнее время and Daylight Saving Time in Google Translate. ^ Chinese: 夏时制, literally summer time system. See 夏时制 and 夏 。时 。制。 in Google Translate. ^ Polish: czas letni, literally summer time, see daylight saving time in WordReference.com. Michael Downing. Spring Forward: The Annual Madness of Daylight Saving Time. Shoemaker & Hoard; 2005. ISBN 1-59376-053-1. David Prerau. Seize the Daylight: The Curious and Contentious Story of Daylight Saving Time. Thunder's Mouth Press; 2005. ISBN 1-56025-655-9. The British version, focusing on the UK, is Saving the Daylight: Why We Put the Clocks Forward. Granta Books; ISBN 1-86207-796-7. ^ a b George Gibbs. Dictionary of New Zealand Biography. 2007-06-22. Hudson, George Vernon 1867–1946. ^ a b c James C. Benfield. Statement to the US House, Committee on Science, Subcommittee on Energy. In: Energy Conservation Potential of Extended and Double Daylight Saving Time. 2001-05-24. (Serial 107-30). Seize the Daylight. p. 103–110, 149–151, 198. ^ a b Rick Kissell. Daylight-saving dock ratings. Variety. 2007-03-20. ^ a b Roscoe G. Bartlett. Statement to the US House, Committee on Science, Subcommittee on Energy. In: Energy Conservation Potential of Extended and Double Daylight Saving Time. 2001-05-24. (Serial 107-30). ^ a b c d e f g Myriam B.C. Aries; Guy R. Newsham. Effect of daylight saving time on lighting energy use: a literature review [PDF]. Energy Policy. 2008;36(6):1858–1866. doi:10.1016/j.enpol.2007.05.021. ^ a b Peter G. Neumann. Computer-Related Risks. Addison–Wesley; 1994. ISBN 0-201-55805-X. Computer date and time problems. ^ a b Tuuli A. Lahti; Sami Leppämäki; Jouko Lönnqvist; Timo Partonen. Transitions into and out of daylight saving time compromise sleep and the rest–activity cycles. BMC Physiology. 2008;8:3. doi:10.1186/1472-6793-8-3. PMID 18269740. PMC 2259373. ^ a b Stephen Tong; Joseph Williams. Are you prepared for daylight saving time in 2007? IT Professional. 2007;9(1):36–41. doi:10.1109/MITP.2007.2. ^ "Bill would do away with daylight savings time in Alaska". Peninsula Clarion. 17 March 2002. http://peninsulaclarion.com/stories/031702/leg_031702ala0060001.shtml. Retrieved 5 January 2013. "Because of our high latitudinal location, the extremities in times for sunrise and sunset are more exaggerated for Alaska than anywhere else in the country, Lancaster said. This places Alaska in the unique position to be less affected by any type of savings from daylight-saving time." ^ Rosenberg, Matt. "Daylight Saving Time (Also Known as Daylight Savings Time)". About.com. http://geography.about.com/cs/daylightsavings/a/dst.htm. Retrieved 5 January 2013. ^ Berthold. Daylight saving in ancient Rome. The Classical Journal. 1918;13(6):450–451. ^ Jérôme Carcopino. Daily Life in Ancient Rome: The People and the City at the Height of the Empire. Yale University Press; 1968. ISBN 0-300-00031-6. The days and hours of the Roman calendar. ^ Robert Kaplan. The holy mountain. Atlantic. 2003;292(5):138–141. ^ Hertzel Hillel Yitzhak. Tzel HeHarim: Tzitzit. Nanuet, NY: Feldheim; 2006. ISBN 1-58330-292-1. When to recite the blessing. p. 53–58. ^ Manser, Martin H. (2007). The Facts on File dictionary of proverbs. Infobase Publishing. p. 70. http://books.google.co.uk/books?id=fgaUQc8NbTYC&pg=PA70. Retrieved 26 October 2011. ^ Benjamin Franklin, William Temple Franklin, William Duane (1834). Memoirs of Benjamin Franklin. M'Carty & Davis. p. 477. http://books.google.co.uk/books?id=EYiyAAAAIAAJ&pg=PA477. Retrieved 26 October 2011. ^ Seymour Stanton Block. Benjamin Franklin: America's inventor. American History. 2006. ^ a b Benjamin Franklin, writing anonymously. Aux auteurs du Journal. Journal de Paris. 1784-04-26;(117):511–513. French. 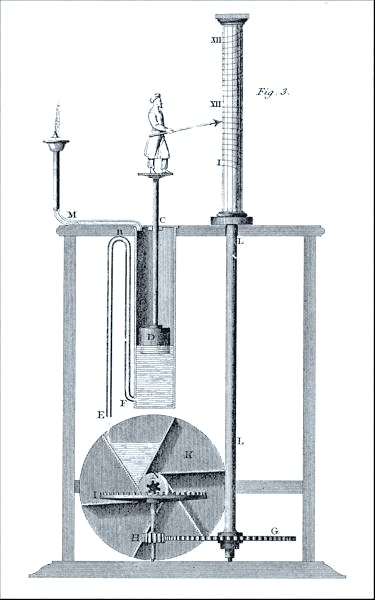 Its first publication was in the journal's "Économie" section, in a French translation of the English original. The revised English version [cited 2009-02-13] is commonly called "An Economical Project", a title that is not Franklin's; see A.O. Aldridge. Franklin's essay on daylight saving. American Literature. 1956;28(1):23–29. doi:10.2307/2922719. ^ Eviatar Zerubavel. The standardization of time: a sociohistorical perspective. The American Journal of Sociology. 1982;88(1):1–23. doi:10.1086/227631. ^ G. V. Hudson. On seasonal time-adjustment in countries south of lat. 30°. Transactions and Proceedings of the New Zealand Institute. 1895;28:734. ^ G. V. Hudson. On seasonal time. Transactions and Proceedings of the New Zealand Institute. 1898;31:577–588. ^ New Zealand time. New Zealand Geographer. 1948;4(1):104. doi:10.1111/j.1745-7939.1948.tb01515.x. ^ National Maritime Museum. 100 years of British Summer Time; 2008. ^ Seize the Daylight. p. 3. William Willett. The waste of daylight. 1st ed. 1907. William Willett. The waste of daylight [PDF]. 19th ed. 1914. ^ Parliamentary Debates, House of Commons, 12 February 1908, columns 155–156. ^ Seize the Daylight. p. 51–89. ^ Lord Howe Island Tourism Association. Information for visitors [cited 2009-04-20]. ^ a b c d Joseph Myers. History of legal time in Britain; 2009-07-17. ^ Bureau of Meteorology. Implementation dates of daylight saving time within Australia; 2009-09-22. ^ Seize the Daylight. p. 179–180. ^ Tom Baldwin. US gets summertime blues as the clocks go forward 3 weeks early. The Times (London). 2007-03-12. ^ Energy Policy Act of 2005, Public Law 109-58 § 110; 2005-08-08. ^ Chilean Hydrographic and Oceanographic Service. Historia de la hora oficial de Chile; 2008-10-01. Spanish. ^ Institute for National Measurement Standards. 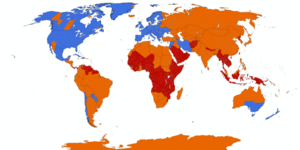 Time zones & daylight saving time; 2009-08-25. ^ a b Dilip R. Ahuja; D. P. Sen Gupta; V. K. Agrawal. Energy savings from advancing the Indian Standard Time by half an hour [PDF]. Current Science. 2007;93(3):298–302. ^ Philip Johnston. Is it time to lighten our darkness? Daily Telegraph. 2007-01-22. ^ Ned Rozell. Alaska Science Forum. Alaskans double their daylight savings; 1996-03-28. ^ Time Service Dept., National Observatory, Brazil. Decretos sobre o Horário de Verão no Brasil; 2008-09-16. Portuguese. ^ Winston S. Churchill. A silent toast to William Willett. Pictorial Weekly. 1934-04-28. ^ Seize the Daylight. p. 117. ^ Seize the Daylight. p. xi. ^ Seize the Daylight. p. 12–24. ^ Seize the Daylight. p. 72–73. ^ a b Seize the Daylight. p. 51–70. ^ Seize the Daylight. p. 80–101. ^ Seize the Daylight. p. 103–110. ^ Robert Garland. Ten years of daylight saving from the Pittsburgh standpoint. Carnegie Library of Pittsburgh; 1927. OCLC 30022847. ^ Spring Forward. p. 47–48. ^ Seize the Daylight. p. 115–118. ^ David P. Baron. Business and its Environment. 5th ed. Prentice Hall; 2005. ISBN 0-13-187355-5. The politics of the extension of daylight saving time. ^ Seize the Daylight. p. 147–155, 175–180. ^ Ian R. Bartky; Elizabeth Harrison. Standard and daylight-saving time. Scientific American. 1979;240(5):46–53. ^ "1992 Queensland Daylight Saving Referendum" (PDF). http://www.ecq.qld.gov.au/WorkArea/linkit.aspx?LinkIdentifier=id&ItemID=74. Retrieved 2010-07-25. ^ a b Alex Beam. Dim-witted proposal for daylight time. Boston Globe. 2005-07-26. ^ "Daylight Saving group launched as new Qld political party". ABC News. 2008-12-14. http://www.abc.net.au/news/stories/2008/12/14/2445953.htm. Retrieved 2010-07-25. ^ "Total Candidates Nominated for Election by Party – 2009 State Election". Electoral Commission of Queensland (ECQ). http://www.ecq.qld.gov.au/elections/state/state2009/results/summary.html#16. Retrieved 2010-06-19. ^ Paige Taylor. Daylight saving at a sunset out west. The Australian. 2009-05-18. ^ "Daylight Saving for South East Queensland Referendum Bill 2010". 14 April 2010. http://www.legislation.qld.gov.au/Bills/53PDF/2010/DaySavSEQRB10_P.pdf. Retrieved 2010-07-25. ^ "Daylight saving silence 'deafening'". 16 June 2011. http://www.brisbanetimes.com.au/queensland/daylight-saving-silence-deafening-20110616-1g4k6.html. Retrieved 2011-06-19. ^ Royal Society for the Prevention of Accidents. Single/Double Summer Time policy paper [PDF]; October 2006. ^ "Eternal Daylight Saving Time (DST) in Belarus". Dateandtime.com. 19 September 2011. http://www.timeanddate.com/news/time/belarus-eternal-dst.html. Retrieved 27 November 2011. ^ a b Seize the Daylight. p. 22. ^ a b Daylight savings time. Session Weekly. 1991. Minnesota House Public Information Office. "... the Minneapolis Star, Jan. 28, 1959 ... [stated] 'Farmers complained that they cannot get into the fields any earlier than under standard time ... because the morning sun does not dry the dew "on daylight savings time." ' "
^ a b c Parfitt, Tom (25 March 2011). "Think of the cows: clocks go forward for the last time in Russia". The Guardian. http://www.guardian.co.uk/world/2011/mar/25/clocks-go-forward-last-time-russia?CMP=twt_fd. Retrieved 5 January 2012. ^ "Did Daylight Saving Time Make The Drive-in Theater Go Dark". Southern Outdoor Cinema. http://blog.southernoutdoorcinema.com/death-of-the-drive-in-theater. Retrieved 5 march 2013. "Parents reluctant to take their families for showings starting too late"
^ Thomas C. Schelling. Micromotives and Macrobehavior. W. W. Norton; 2006. ISBN 0-393-32946-1. Hockey helmets, daylight saving, and other binary choices [PDF]. ^ Daniel S. Hamermesh; Caitlin Knowles Myers; Mark L. Pocock. Cues for timing and coordination: latitude, Letterman, and longitude. Journal of Labor Economics. 2008;26(2):223–246. doi:10.1086/525027. ^ a b c Mark Gurevitz (2007-03-07). "Daylight saving time". ^ Ryan Kellogg; Hendrik Wolff. Daylight time and energy: evidence from an Australian experiment. Journal of Environmental Economics and Management. 2008;56(3):207–220. doi:10.1016/j.jeem.2008.02.003. An earlier version is in: Ryan Kellogg; Hendrik Wolff (2007). "Does extending daylight saving time save energy? Evidence from an Australian experiment". ^ "The facts on electricity consumption and daylight saving" (Press release). Western Power. 2007-10-31. http://westernpower.com.au/subContent/aboutUs/mediaCentre/mediaReleases/2007/The_facts_on_electricity_consumption_and_Daylight_Saving.html. ^ Wee-Kean Fong; Hiroshi Matsumoto; Yu-Fat Lun; Ryushi Kimura. Energy savings potential of the Summer Time concept in different regions of Japan from the perspective of household lighting. Journal of Asian Architecture and Building Engineering. 2007;6(2):371–378. doi:10.3130/jaabe.6.371. ^ Yoshiyuki Shimoda; Takahiro Asahia; Ayako Taniguchia; Minoru Mizuno. Evaluation of city-scale impact of residential energy conservation measures using the detailed end-use simulation model. Energy. 2007;32(9):1617–1633. doi:10.1016/j.energy.2007.01.007. ^ Adrienne Kandel; Margaret Sheridan (2007-05-25). "The effect of early daylight saving time on California electricity consumption: a statistical analysis" (PDF). ^ Brendan Cronin; Elizabeth Garnsey (2007-10-19). "Daylight saving in GB; is there evidence in favour of clock time on GMT?" (PDF). ^ Brendan Cronin; Elizabeth Garnsey (2009-10-20). "Daylight saving in GB; is there evidence in favour of clock time on GMT? (October 2009 revision)" (PDF). ^ Matthew J. Kotchen; Laura E. Grant (2008). "Does daylight saving time save energy? evidence from a natural experiment in Indiana" (PDF). Lay summary: Wall Street Journal, 2008-02-27. ^ a b David B. Belzer; Stanton W. Hadley; Shih-Miao Chin (2008). "Impact of Extended Daylight Saving Time on national energy consumption: report to Congress, Energy Policy Act of 2005, Section 110" (PDF). ^ Michael Downing. Daylight saving: beat the clock. Huffington Post. 2010-03-13. ^ Dana Knight. Daylight-saving time becomes daylight-spending time for many businesses. Indianapolis Star. 2006-04-17. ^ Spring Forward. p. 147–148. ^ "Should we change the clocks?". National Farmers Union. http://www.nfuonline.com/News/Should-we-change-the-clocks-/. Retrieved 6 January 2012. ^ Fisher, Marc. "It's Time For Double Daylight Saving Time". Washington Post. http://voices.washingtonpost.com/rawfisher/2009/03/its_time_for_double_daylight_s.html. Retrieved 5 January 2012. ^ "SINGLE/DOUBLE SUMMER TIME". THE ROYAL SOCIETY FOR THE PREVENTION OF ACCIDENTS. http://www.rospa.com/roadsafety/info/summertime_paper.pdf. Retrieved 5 January 2012. ^ Todd D. Rakoff. A Time for Every Purpose: Law and the Balance of Life. Harvard University Press; 2002. ISBN 0-674-00910-X. p. 26. ^ Ben Arnoldy. Latest computer glitch: daylight saving time. Christian Science Monitor. 2007-03-07. ^ Mark J. Kamstra; Lisa A. Kramer; Maurice D. Levi. Losing sleep at the market: the daylight saving anomaly. American Economic Review. 2000;90(4):1005–1011. ^ Luisa Müller; Dirk Schiereck; Marc W. Simpson; Christian Voigt. Daylight saving effect. Journal of Multinational Financial Management. 2009;19(2):127–138. doi:10.1016/j.mulfin.2008.09.001. ^ Reinhold P. Lamb; Richard A. Zuber; John M. Gandar. Don't lose sleep on it: a re-examination of the daylight savings time anomaly. Applied Financial Economics. 2004;14(6):443–446. doi:10.1080/09603100410001673676. ^ Linda L. Lawson. Energy Conservation Potential of Extended and Double Daylight Saving Time. 2001-05-24. (Serial 107-30). Statement to the US House, Committee on Science, Subcommittee on Energy. ^ Susan A. Ferguson; David F. Preusser; Adrian K. Lund; Paul L. Zador; Robert G. Ulmer. Daylight saving time and motor vehicle crashes: the reduction in pedestrian and vehicle occupant fatalities [PDF]. American Journal of Public Health. 1995;85(1):92–95. doi:10.2105/AJPH.85.1.92. PMID 7832269. PMC 1615292. ^ Douglas Coate; Sara Markowitz. The effects of daylight and daylight saving time on US pedestrian fatalities and motor vehicle occupant fatalities. Accident Analysis & Prevention. 2003;36(3):351–357. doi:10.1016/S0001-4575(03)00015-0. PMID 15003579. ^ J. Broughton; M. Stone (1998). "A new assessment of the likely effects on road accidents of adopting SDST". ^ As the clocks go back, car accidents increase. Coincidence?. 2009-10-26. ^ Alex Vincent; Stanley Coren. Effects of daylight savings time on collision rates. New England Journal of Medicine. 1998;339(16):1167–1168. doi:10.1056/NEJM199810153391617 (Full free text). PMID 9776656. Data supporting Coren's half of this exchange are in: Stanley Coren. Sleep deficit, fatal accidents, and the spring shift to daylight savings time. In: INABIS '98. 1998. Jason Varughese; Richard P. Allen. Fatal accidents following changes in daylight savings time: the American experience. Sleep Medicine. 2001;2(1):31–36. doi:10.1016/S1389-9457(00)00032-0. PMID 11152980. J. Alsousoua; T. Jenks; O. Bouamra; F. Lecky; K. Willett. Daylight savings time (DST) transition: the effect on serious or fatal road traffic collision related injuries. Injury Extra. 2009;40(10):211–2. doi:10.1016/j.injury.2009.06.241. Tuuli A. Lahti; Jari Haukka; Jouko Lönnqvist; Timo Partonen. Daylight saving time transitions and hospital treatments due to accidents or manic episodes. BMC Public Health. 2008;8:74. doi:10.1186/1471-2458-8-74. PMID 18302734. PMC 2266740. Mats Lambe; Peter Cummings. The shift to and from daylight savings time and motor vehicle crashes. Accident Analysis & Prevention. 2000;32(4):609–611. doi:10.1016/S0001-4575(99)00088-3. PMID 10868764. ^ Christopher M. Barnes; David T. Wagner. Changing to daylight saving time cuts into sleep and increases workplace injuries [PDF]. Journal of Applied Psychology. 2009;94(5):1305–1317. doi:10.1037/a0015320. PMID 19702372. ^ House Committee on Energy and Commerce, Subcommittee on Energy Conservation and Power. Daylight saving time. US GPO; 1985-04-24. (Serial No. 99-4). p. 26. ^ Rachel Pain; Robert MacFarlane; Keith Turner; Sally Gill. 'When, where, if, and but': qualifying GIS and the effect of streetlighting on crime and fear. Environment and Planning A. 2006;38(11):2055–2074. doi:10.1068/a38391. Helen A.S. Popkin. Changes to daylight-saving time. Consumer Reports Home & Yard Blog. 2007-03-02. Smoke alarms a burning issue. East and Bays Courier (New Zealand). 2008-04-04. "CSPC and USFA encourage consumers to spring forward with fire safety in mind" (Press release). US Consumer Product Safety Commission; US Fire Administration. 2007-03-09. http://www.cpsc.gov/cpscpub/prerel/prhtml07/07124.html. American Public Health Association. Get ready: set your clocks, check your stocks; 2009-02-24. ^ Debby Golonka. Yahoo Health. Prevent household fires; 2007-03-13. ^ Sualeh Fatehi. SourceForge.net. Daylight Chart; 2008. ^ Michael Rosenberg; Lisa Wood. The power of policy to influence behaviour change: daylight saving and its effect on physical activity. Australian and New Zealand Journal of Public Health. 2010;34(1):83–88. doi:10.1111/j.1753-6405.2010.00479.x. ^ A.V. Parisi; J. Turner; D.J. Turnbull; P. Schouten; N. Downs. Influence of summer daylight saving time on scattered erythemal solar ultraviolet exposures. Journal of Photochemistry and Photobiology B: Biology. 2008;91(1):35–40. doi:10.1016/j.jphotobiol.2008.01.010. PMID 18321724. ^ Henry Olders. Average sunrise time predicts depression prevalence. Journal of Psychosomatic Research. 2003;55(2):99–105. doi:10.1016/S0022-3999(02)00479-8. PMID 12932507. ^ Shari Roan. Change in daylight saving time may affect moods. Los Angeles Times. 2007-03-05. ^ Moderatrix Musings. Daylight savings; 2007-03-12. "I now have to drive to work in the dark. This is a real problem for me as I've got terrible night blindness and avoid driving in the dark at all costs. It's just not safe (especially for the other drivers since I can't tell where they are.)" Pablo Valdez; Candelaria Ramírez; Aída García. Adjustment of the sleep–wake cycle to small (1–2h) changes in schedule. Biological Rhythm Research. 2003;34(2):145–155. doi:10.1076/brhm.34.2.145.14494. Thomas Kantermann; Myriam Juda; Martha Merrow; Till Roenneberg. The human circadian clock's seasonal adjustment is disrupted by daylight saving time. Current Biology. 2007;17(22):1996–2000. doi:10.1016/j.cub.2007.10.025. PMID 17964164. Lay summary: ABC Science Online, Australia, 2007-10-25. ^ Michael Berk; Seetal Dodd; Karen Hallam; Lesley Berk; John Gleeson; Margaret Henry. Small shifts in diurnal rhythms are associated with an increase in suicide: the effect of daylight saving. Sleep and Biological Rhythms. 2008;6(1):22–25. doi:10.1111/j.1479-8425.2007.00331.x. ^ Imre Janszky; Rickard Ljung. Shifts to and from daylight saving time and incidence of myocardial infarction. New England Journal of Medicine. 2008;359(18):1966–1968. doi:10.1056/NEJMc0807104. PMID 18971502. Lay summary: Los Angeles Times, 2008-10-30. ^ Nataliya Shirinskikh, translator. Kazakhstan canceled shifting to the 'summer' and 'winter' time. Kazakhstan Today. 2005-03-16. ^ Joey Crandall. Daylight saving time ends Sunday. Record–Courier. 2003-10-24. ^ Paul McDougall. PG&E says patching meters for an early daylight-saving time will cost $38 million. InformationWeek. 2007-03-01. ^ WebExhibits. Daylight saving time: rationale and original idea; 2008. "... Lord Balfour came forward with a unique concern: 'Supposing some unfortunate lady was confined with twins ...'"
^ Daniel G. Schultz. Center for Devices and Radiological Health, Food and Drug Administration. Unpredictable events in medical equipment due to new daylight saving time change; 2007-03-29. ^ Jesse Ruderman. Indistinguishable from Jesse. Continuous daylight saving time; 2006-11-01. ^ Proposal for a finer adjustment of summer time (daylight saving time); 2011-09-28. ^ Albert E. Waugh. Sundials: Their Theory and Construction. Dover; 1973. ISBN 0-486-22947-5. ^ Leith Holloway. Atmospheric sun protection factor on clear days: its observed dependence on solar zenith angle and its relevance to the shadow guideline for sun protection. Photochemistry and Photobiology. 1992;56(2):229–34. doi:10.1111/j.1751-1097.1992.tb02151.x. PMID 1502267. ^ Seize the Daylight. p. xv. Richard A. Meade. Language change in this century. English Journal. 1978;67(9):27–30. doi:10.2307/815124. daylight-saving time. In: Joseph P. Pickett et al., editors. The American Heritage Dictionary of the English Language. 4th ed. Boston: Houghton Mifflin; 2000. ISBN 0-395-82517-2. "or daylight-savings time"
Merriam–Webster's Online Dictionary. "called also daylight saving, daylight savings, daylight savings time, daylight time" daylight saving time. [cited 2009-02-13]. 15 U.S.C. § 260a notes [cited 2007-05-09]. "Congressional Findings; Expansion of Daylight Saving Time"
^ Steve Lohr. Time change a 'mini-Y2K' in tech terms. New York Times. 2007-03-05. ^ A. Gut; L. Miclea; Sz. Enyedi; M. Abrudean; I. Hoka. Database globalization in enterprise applications. In: 2006 IEEE International Conference on Automation, Quality and Testing, Robotics. 2006. p. 356–359. ^ Ron Bean. The Clock Mini-HOWTO; November 2000. ^ Raymond Chen. Why does Windows keep your BIOS clock on local time? ; November 2000. ^ Paul Eggert; Arthur David Olson. Sources for time zone and daylight saving time data; 2008-06-30. ^ HP-UX Reference: HP-UX 11i Version 3. Hewlett–Packard Co; 2010. tztab(4). ^ IEEE Std 1003.1–2004. The Open Group; 2004. Other environment variables. ^ Microsoft Corp. Daylight saving time help and support center; 2007-09-14. ^ Microsoft Corp. Visual Studio and daylight saving time change; 2007. ^ Lingnu Open Source Consulting. Windows daylight savings timezones for Israel; 2009. ^ Microsoft Corp. Microsoft support entry regarding daylight saving time in Israel; 2007. Hebrew. ^ Markus Kuhn. Computer Laboratory, University of Cambridge. IBM PC Real Time Clock should run in UT; 2009-02-10. ^ "Spring Forward: 100 years of British Summer Time". Royal Museums Greenwich. http://www.rmg.co.uk/explore/astronomy-and-time/time-facts/spring-forward-100-years-of-british-summer-time#4. Retrieved 6 January 2012. ^ Handwerk, Brian. "Permanent Daylight Saving Time? Might Boost Tourism, Efficiency". National Geographic. http://news.nationalgeographic.com/news/travelnews/2011/11/111104-daylight-saving-time-science-travel/. Retrieved 5 January 2012. David Prerau (2005). Seize the Daylight: The Curious and Contentious Story of Daylight Saving Time. Thunder's Mouth Press. ISBN 1-56025-655-9. The British version, focusing on the UK, is Saving the Daylight: Why We Put the Clocks Forward. Granta Books. ISBN 1-86207-796-7. This page uses content from the English language Wikipedia. The original content was at Daylight saving time. The list of authors can be seen in the page history. As with this Familypedia wiki, the content of Wikipedia is available under the Creative Commons License.